With a big block, auto, tilt steering, power windows, rear defogger, and a nice white Houndstooth interior, we wouldn’t mind the ride either! The Camaro must sound great through that chambered exhaust as well! 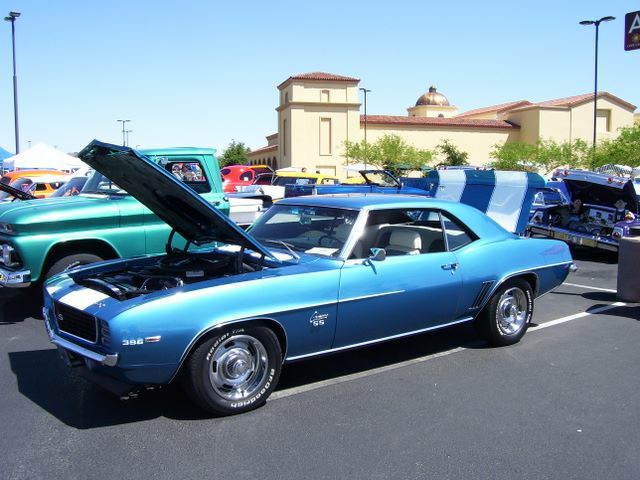 While we do help to restore a lot of “trailer queen” cars here, Ben’s is the perfect example of what muscle cars are all about; Beautiful looks, awesome performance, and the enjoyment that comes from DRIVING them! 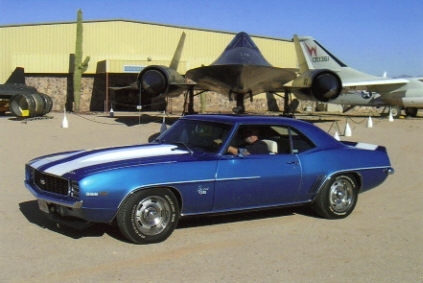 Having a beautiful 69 Camaro likes Ben’s is one thing, but just getting out and using it to enjoy the open road like he does is an experience in itself!